We are excited to introduce the second exclusive fashion collection by Urban Outfitters and Laura Ashley. 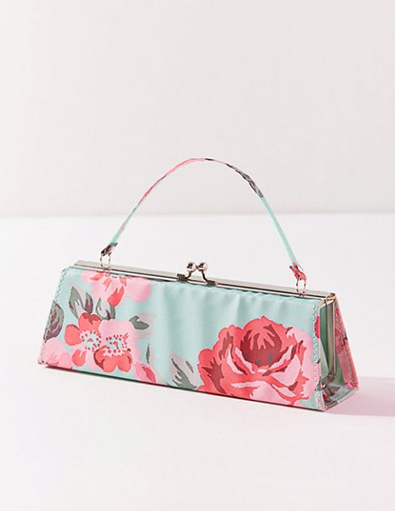 You will Instantly recognize the Laura Ashley floral prints which are mixed with a romantic twist on the ’90s revival, creating a touchstone for the collection that has evolved from the collaboration’s sold-out first release in summer 2018. 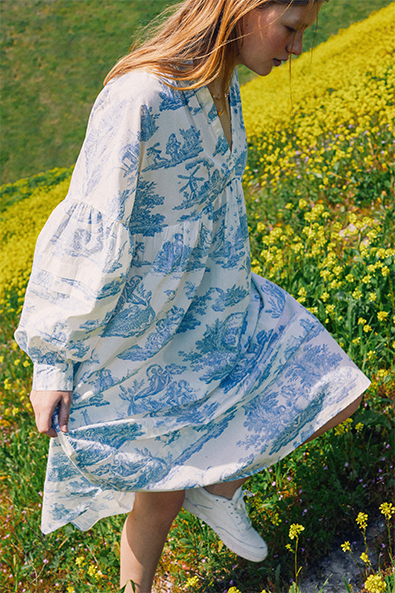 Urban Outfitters has brought Laura Ashley’s iconic Victorian inspired styles to the 2019 spring and summer fashion picks as well as adding a new exciting home line. Those of you who love vintage Laura Ashley will have plenty to love, thanks to updated silhouettes, on-trend pieces, and Instagram-ready colours and patterns. Ruffles and puff sleeves mixed with an overall romantic mood highlight the ultra-feminine details of each piece. The collection includes vintage-inspired maxi and midi dresses, classic Laura Ashley shapes that have become a high-fashion staple. The 26-piece collection consists of dresses, matching sets, bathing suits, and intimates alongside accessories including silky scarfs, bow scrunchies, yes, we said scrunchies, and a handbag. Standout pieces include the reissued maxi dresses, ultra-trendy bike shorts and cropped tops. Prices range from $44 to $129 USD. 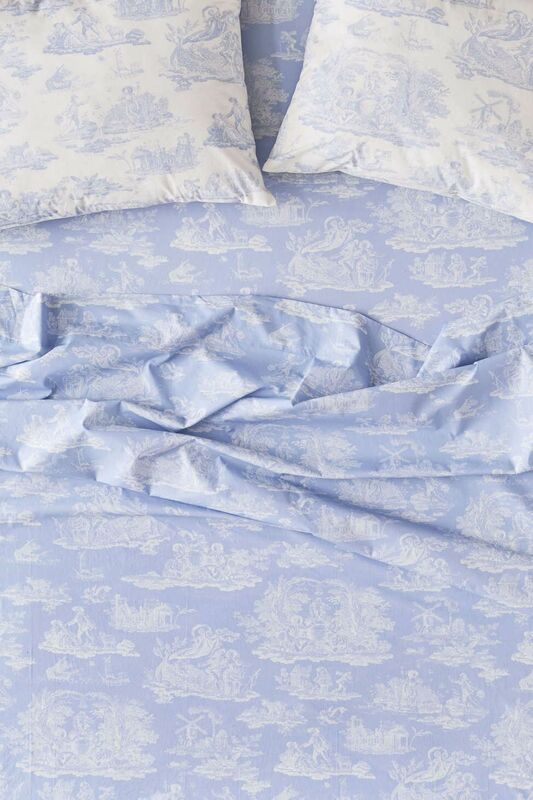 A fresh blue-and-white Romance Toile duvet cover and sheet set with coordinating pillows mark the first addition to home for the Laura Ashley & Urban Outfitters collection. Available in twin, twin XL, full, queen, and king. Prices range from $39 to $129. 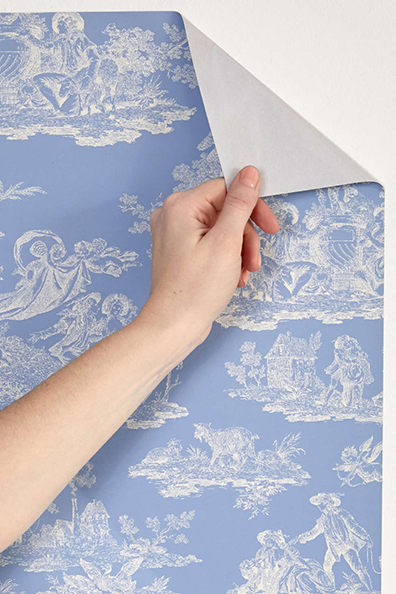 Coordinating removable wallpaper in Romance Toile is also available. This takes the stress out of deciding which wallpaper to choose, the wallpaper easily removes from the wall. The wallpaper price is $39/per roll. The Laura Ashley & Urban Outfitters collection is in select Urban Outfitters stores across North America and Europe as well as online at urbanoutfitters.com. Available now, while it lasts!